Why Invest/Buy 8 Hullet | Prime Orchard Road ? 8 Hullet is conveniently located just approximately 300 m away from Somerset MRT Station which operates the North South Line. The Dhoby Ghaut MRT Interchange Station is just 1 stop away with the North East Line and the Circle Line being available at the interchange. For the people who love sports, 8 Hullet is the best residential option as it provides volleyball court, tennis court, outdoor fitness etc. as managing hotels and serviced apartments in these regions. One Dusun Residnces, Macpherson Mall. Rivercove Residences is the only Executive Condominium confirmed to be launched in 2018. 635 residential units. Ranging from the ever so affordable 2 bedrooms units to the spacious 5 bedrooms units. EC launch by Hoi Hup Realty – Hundred Palms Residences took the market by storm by being fully sold within the first day. Industry experts are expecting high competition for the limited units available. Rivercove Residences is conveniently located beside Tongkang LRT which is part of the Sengkang LRT system. It allows residents to reach the Sengkang MRT Station which is part of the major North East Line (NEL). Sengkang is one of the estates where City Direct Bus service is available. Taking a direct bus can allow one to travel to and fro the Central Business District (CBD) with ease. Making the daily commute for work much more comfortable. For drivers, the nearby Tampines Expressway (TPE) allows for quicker travel across the region. As it connects with other major highways such as the Central Expressway (CTE), Bukit Timah Expressway (BKE) and etc. Another popular spot for the people living in Sengkang is Tebing Lane. This location is a mecca for nature lovers and it is located along side Punggol Promenade Riverside Walk. There is a Prawning Pool, Billiard Hall, Futsal Court and a huge range of dining options. You can choose to dine at the Seafood Restaurant, indulge in some fast food food or grab a pint of beer at the pubs there. In addition, the Punggol East Container Park boasts a line of unique and modern stalls which sells tantalizing food. The best part is the the alfresco dining experience as you can enjoy your food while facing Lorong Halus Wetland. Another famous strip for dining is Jalan Kayu. This strip is home shophouses popular for night owls to get their supper fix. The area is more serene as it is nestled in a landed property enclave. For a enjoyable day out with the family, one can visit Sengkang Riverside Park to get away from the hustle and bustle of the city life. Cycling to Coney Island could be a good form of exercise while enjoying a spectacular view of coastline. The Sengkang Sports & Recreation Centre is a place where one can play various kinds of sports like basketball to badminton and even volleyball. Rivercove Residences is nestled within the vicinity of multiple facilities and places of recreation. Not to forget, there are plenty of reputable schools in the near proximity as well. Household with families need not worry on the availability of schools nearby as there are a number of reputable schools in the area like Nan Chia Primary/High School. Montfort Junior/Secondary School, CHIJ St. Joseph’s Convent and many more. subscribed to their own internet services. 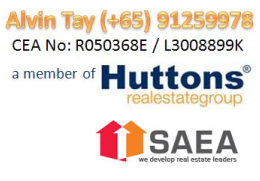 [/vc_column_text][vc_single_image image="11169" img_size="full" alignment="center"][vc_column_text]Sunway Development and Hoi Hup have collectively been in the development business for decades and know a great opportunity when they see one. It’s the reason why they decided to combine their resources to place the highest bid at tender for Rivercove Residences EC. Hoi Hup has been committed to innovative and functional design since 1983. Over the years, they’ve received numerous awards for their work, receiving the Best Buildable Design award in 2007, and created successful sell-out residential properties such as The Ford @ Holland. Since 1976, Sunway Development has shared the same values as Hoi Hup, but with an additionally strong commitment to sustainability, giving back to the community however they can. While they specialize in developing sprawling townships like Sunway City, they’ve brought their expertise to a good deal of individual residential developments such as Kiara Hills, Sunway Palazzio, and Sunway Vivaldi.